So you’ve signed up for a fax to email number and have great intentions to move your entire fax communication to fax to email. Over the next few months your office does not receive as many faxes as before, eventually your account expires because it is inactive for over 3 months. Is there still a chance that you can keep your fax number or are you going to be allocated a new one once you reactivate your account? Are you going to be penalised for allowing it to expire? How much is the reactivation fee? No, you will not be penalised for an expired fax to email account and yes, you can keep your original fax number. The best solution we can recommend for you is that you subscribe for as little as R120 per year to ensure that you never ever have to worry about whether or not your fax to email number will expire, whether or not you are receiving fax messages to the number. This will save you a lot of heartache and retain your original fax number, no need to reprint business cards or something drastic like that. As soon as you subscribe back to the service, your number will be reactivated with immediate effect. Not need for a software upgrade or new equipment. You’ll be back on your toes in no time. 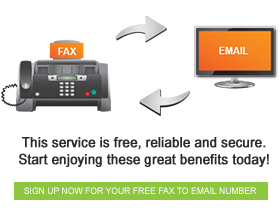 Contact us today to reactivate your fax number and enjoy a convenient and effective fax to email service.